We love supporting homegrown business specially woman with a passion. My Little Painter and the lovely team behind is on a mission to raise awareness of the importance of artistic exposure from an early age. The ‘my little painter’ is specially designed for children to develop and enhance their artistic capabilities, creative talents and potential. ​They provide you workshop planning and ready to create Art Activity material for each workshop. Each workshop module designs are fun, engaging and educational for kids of eighteen months old to twelve years old. Each workshop will focuses on the fundamental skills of all visual arts and encourages the confidence and freedom of expression through art. 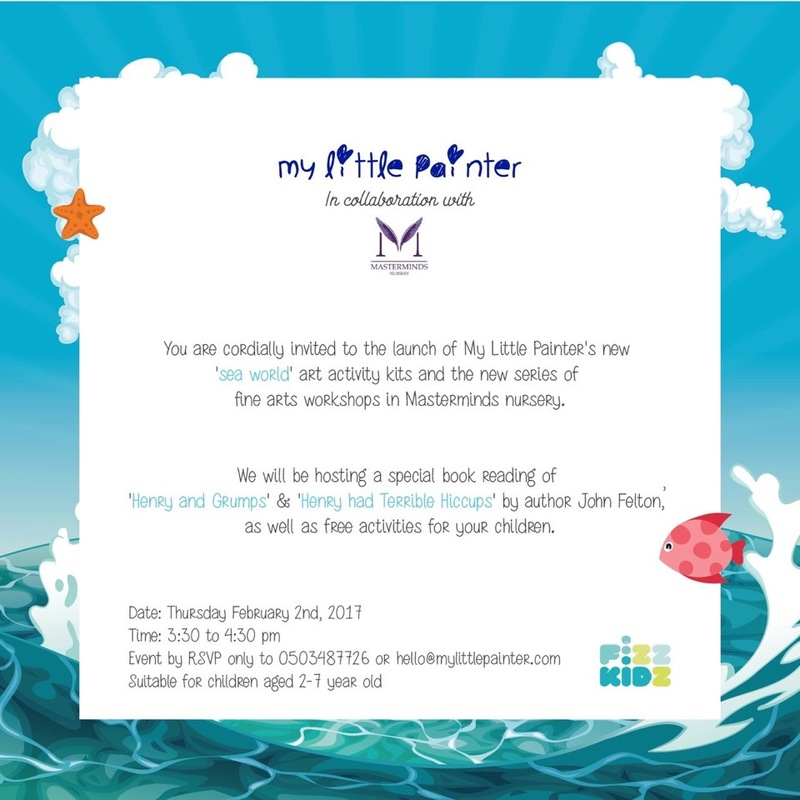 Thursday February 2nd, My Little Painter is hosting a free event on the occasion of the launch of their "Sea World" art activity kits and new workshops. See invite for details and reservation! Creative fun guaranty!